Seville is definitely one of the most loved Spanish cities not only among tourists but also the Spanish. The city seduces with its rich culture reminiscent of its Moorish roots, spectacular medieval architecture, and flamenco that is part of evening activities of the Sevillans. Coffee has also played an important role in the life of Seville, but not one that the speciality coffee world recognises. The typical cafe menu is dominated by cafe con leche, cortado and cafe bombon—mostly milk-based beverages, and various versions of coffee granita, or ice cream. However, here are three places in Seville, introducing speciality coffee and alternative brews to this beautiful city. Let me walk you through them! Parcería Café is, as the name suggests, ‘the place of coffee friends'. 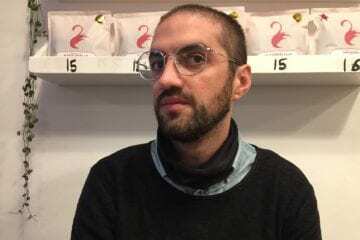 It was opened by Catalina Álvarez and Andres Cifuentes, who both wanted to establish a place based on trust, honest cooperation and friendship. 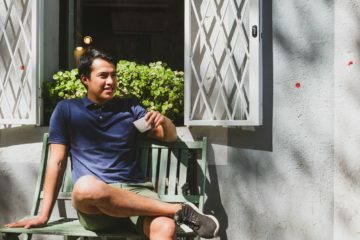 Andres—who spent a huge part of his life in Colombia dealing with coffee at the origin—got together with Catalina and they opened Parcería in August of 2018. 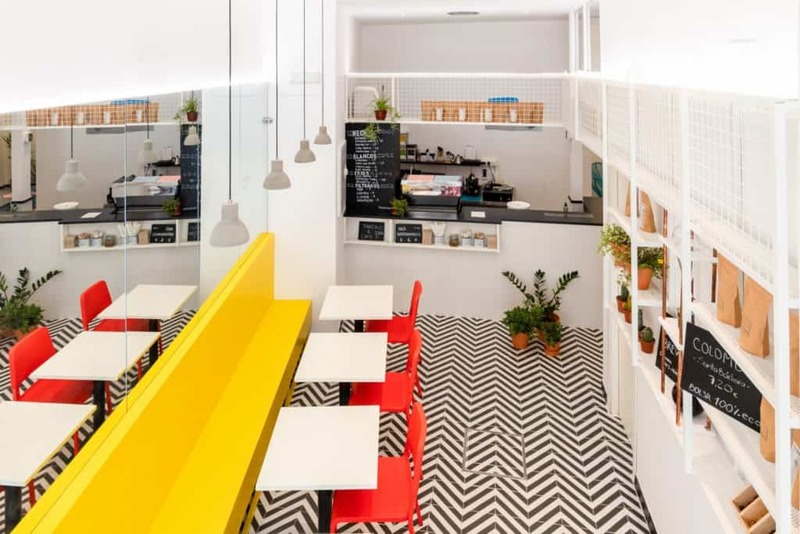 The youngest speciality cafe in Seville is located a bit north from the centre, but the area gets quite busy during the rush hours and is then crowded by locals. Catalina and Andres’ efforts really resonate here. Since the moment you enter you are welcomed with the smiles of the crew and immediately experience extraordinary hospitality. You can then enjoy a perfectly brewed cup of coffee in a spacious, modern space that is dominated by a bright-yellow bench and red chairs. 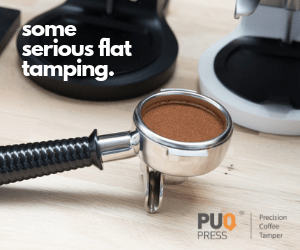 The team brews delicious espressos on a La Marzocco Linea machine, and numerous alternative brews, such as Aeropress, V60, Chemex or Clever Dripper are served, too. The coffees used at Parceria come from Alquimista Coffee Lab, a local roastery just outside of Seville. The menu at Parcería is offering a selection of snacks and breakfast meals, all based on local, organic ingredients. The toast with tomatoes and avocado stole my heart, to say the least. You might even join a home-barista workshop led by Gil Selby, the Head barista at Parcería. It is definitely worth attending since Gil is one of the most knowledgeable and passionate baristas I’ve met in my life. If you are a fan of minimalistic yet warmly designed interiors, Torch Coffee Sevilla is a must-visit place for you! 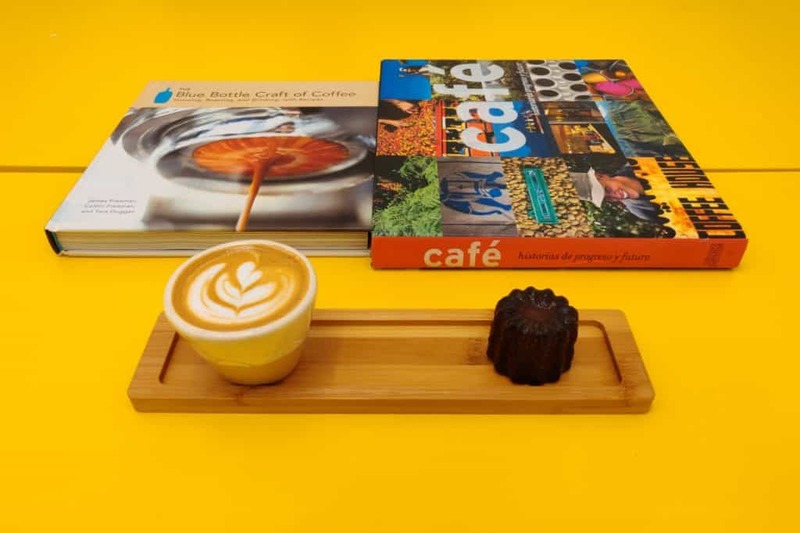 The cafe was established by two sisters from Guatemala, Sara and Victoria Parish, who got, since the beginning, backed up by Torch Coffee Labs Asia. The mother company provides the necessary know-how and infrastructure to all its centres around the world. As such, Torch Seville is a ‘fully certified teaching laboratory’. 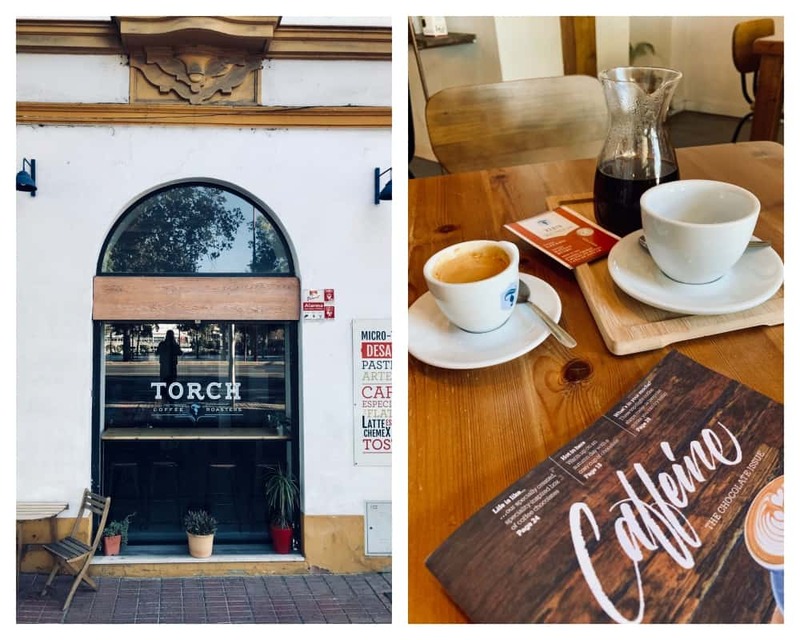 If you are planning on participating in the Coffee Diploma Modules (SCA) and you are in Spain, Torch Coffee is your address. Every bean used in the cafe is speciality and is freshly roasted on a 1kg roaster that is placed inside of the cafe. 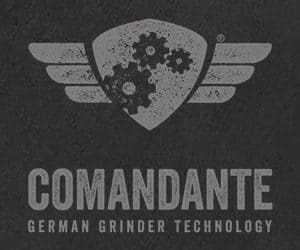 On the bar, top-notch equipment features a La Marzocco GB5 and Mahlkonig grinders for espresso (K30) and filter coffee (EK43). 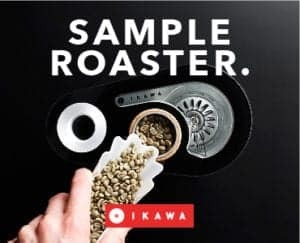 It is a great advantage of a roastery that it can showcase their coffee beans roasted for various brew methods. As a filter coffee, you can try Torch on V60, AeroPress, or Chemex. Thanks to its central location, the cafe is easily found by tourists. They also represent a big part of Torch's clientele. However, thanks to the aforementioned alternative brews, Torch is also gaining the attention of the locals. The roastery cafe is a great example of a naturally lit space, with many wooden elements and natural colours used to decorate the interior. The bar takes up a large corner of the room, and the roastery is placed just behind it, separated from the cafe by a glass door. Pass the time here with a cup, sat at the large communal table, and watch the stream of people running in and out, and the team turning the beans green to brown. The team at Torch plans everything in advance and lets the place grow organically. 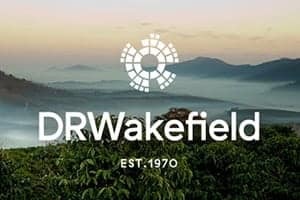 The next step will be Specialty Coffee Association courses organised for members of other cafes, in order to increase the quality of coffee in the region and spread the speciality coffee culture far and wide. Virgin Coffee is located right next to Metropol Parasol, one of the most spectacular landmarks of the city and the largest wooden structure in the world. Virgin Coffee was established by Pedro Sierra Pradas more than four years ago, which makes it the oldest speciality cafe in Seville! Pedro’s motivation for the opening was, unsurprisingly, the lack of quality coffee in the city. 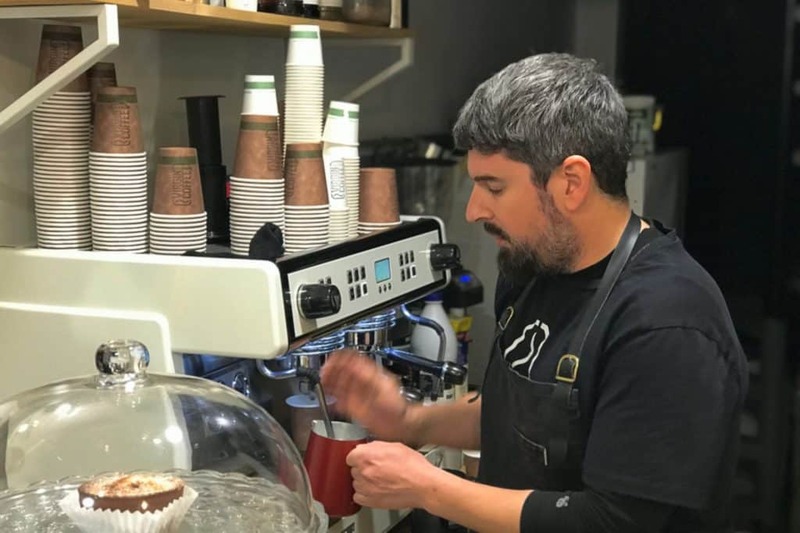 He was guided by the owner of Mr Chava Cafeteria in Osuna, Antonio Manuel Chavarria Rosa, who is known to be the father of speciality coffee in Andalusia. Despite being the oldest speciality cafe in Seville, Virgin Coffee does not seem old at all. The tiny cafe is all done in a very simple and clean manner. 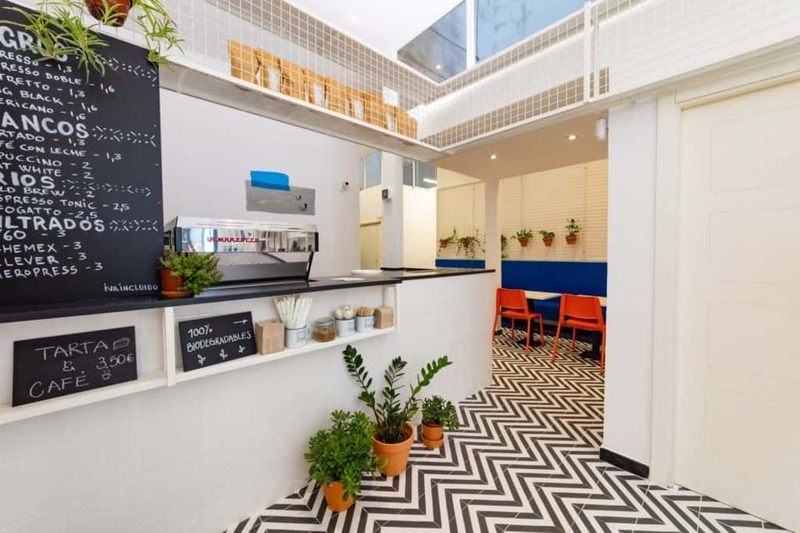 White walls and little metal and wooden decor serve to the cafe's predominantly take-away purpose. It is also a one-man coffee-inspiration show. 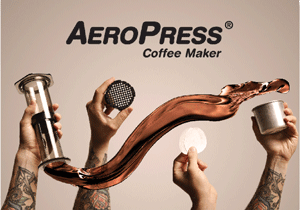 Pedro first roasts his own coffee and then serves it in espresso-based drinks brewed on a Dalla Corte EVO machine. 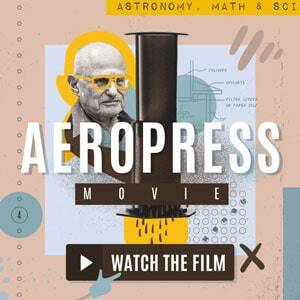 For filter coffee, he uses V60 or Aeropress. 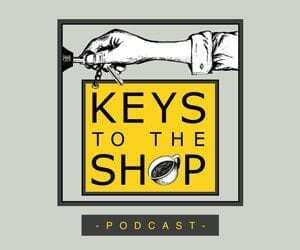 Being the only team member, Pedro often has a long conversation with his customers, gives them a piece of advice on coffee brewing, sharing brewing tricks and educating them in a fun, pleasant way. He is trying to compel the visitors to try a manual brew instead of an Americano. 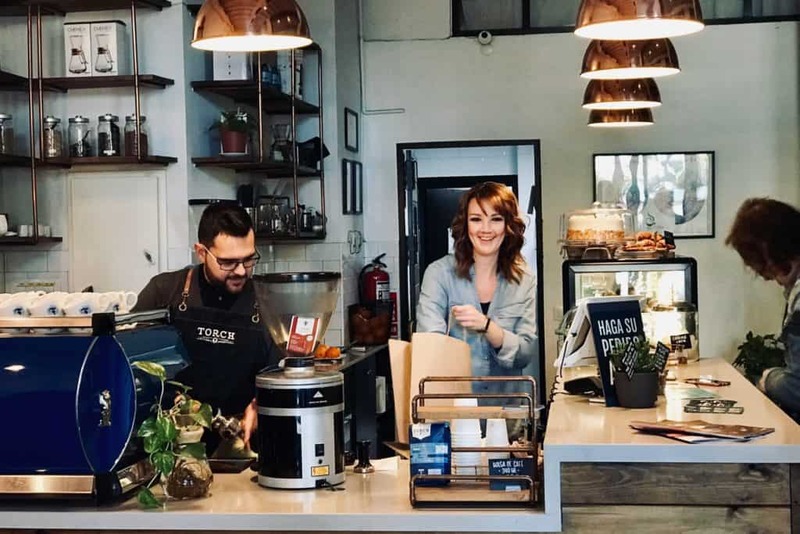 One customer at a time, he is building a loyal fanbase that also buys his coffee beans to drink at home. 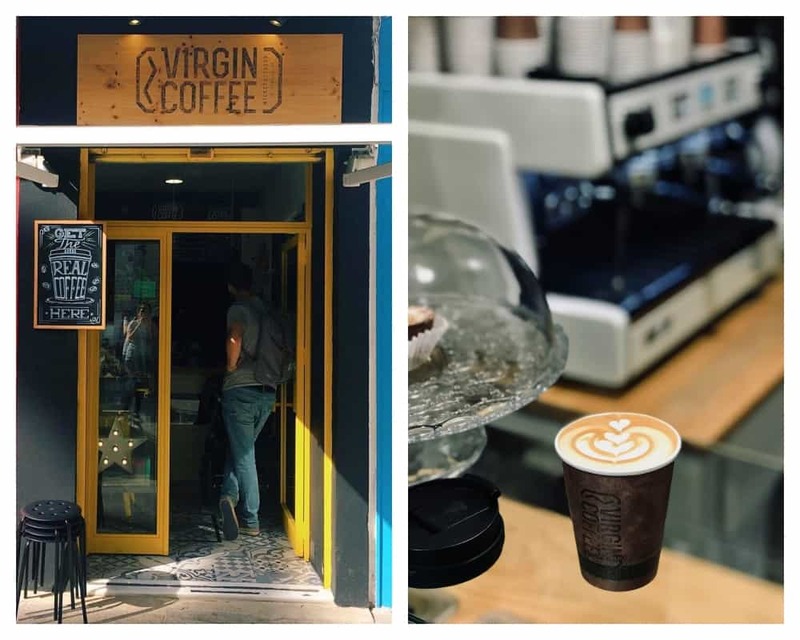 Seville is a charming place to discover on foot, especially when you make your way to these coffee landmarks. I encourage you to stroll through the beautiful streets and explore them at your own pace. You will be met with great hospitality and professional yet passionate Andalusian spirit! Łukasz Gałęcki is an aspiring barista and sensory geek who happens to be a soft skills trainer and a biotechnologist – in a nutshell: a creative skeptic.